The TodayTix 12 Day Giveaway 2016! If you thought our Cyber Monday 24hr Offer was great, then get ready for the return of our biggest ever prize giveaway: the TodayTix 12 Day Giveaway! From the 1 December, you can enter our competition to win a huge prize that includes signed posters from the stars of the show, limited edition goodies and free tickets! Something special will be added every day to create what is basically the best Christmas stocking ever. Enter just once to be in with a chance of winning it all! Day 1: Front row tickets and a signed poster for the hit show, No Man’s Land, now in its final weeks. Day 2: A limited edition snow globe from the Kenneth Branagh Theatre Company. Day 3: A Pair of tickets to The Children at the Royal Court and a signed playtext. 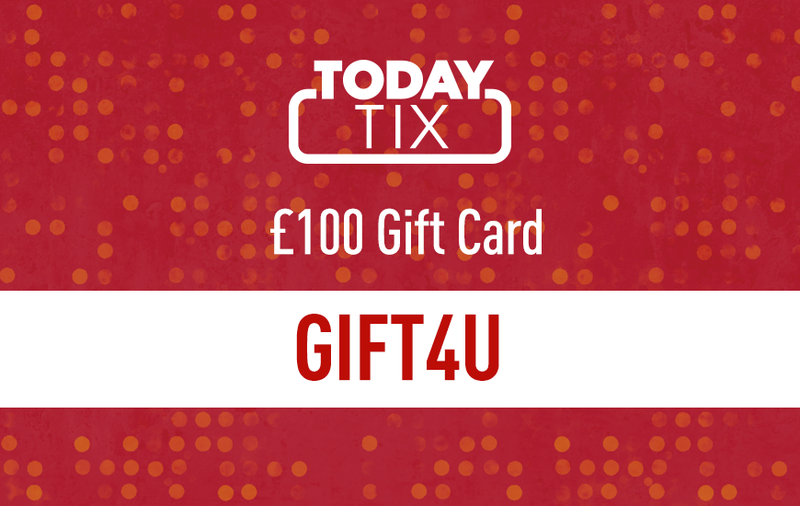 Day 4: A £100 TodayTix Gift Card. Day 5: A pair of Wicked tickets, plus signed 10th anniversary merch. Day 6: A pair of tickets to An American In Paris and a special Christmas bauble. Day 7: A pair of tickets to The Curious Incident of the Dog in the Night-Time, plus a signed copy of the book. Day 8: A bundle of Mamma Mia! merchandise. Enter our 12 Day Giveaway now and find out what the Christmas stocking fills up with!